Few of the world's important art museums were created entirely by the devotion, energy, artistic wisdom, and generosity of one man and his wife. Such is the case, however, of The Jagdish and Kamla Mittal Museum of Indian Art, Hyderabad, an irrevocable public trust established by the Mittals in 1976. It is the astounding creation of two artists; and is in itself a major work of art. It is a vital "happening"; an infinitely complex "installation sculpture," and a visual tactile feast. In March 2007, it is still a museum without a building. But it is also a mysteriously perfect, greatly effective aesthetic microcosm of Indian art from ancient times through 2000 AD. Those fortunate enough to experience it through the minds and voices of its awe-inspiring but always modest founders will delight in being shown perceptively chosen samplings of its myriad works of art, tailored to their innermost needs by my revered friends, Jagdish and Kamla. Far from being mere collectors, curators, conservators, or docents  although they are expert at each of these roles  they are, in effect, art-physicians, shamans, gurus, or white witches, sensitively attuned to mind and hearts. They magisterially diagnose the quirks and needs of the lucky visitors; and once his or her requirements have been intuited, the arch-mages  or members of their delightful household  pluck suitable works of art from the depths of a most efficiently arranged but compact storage area. If he or she needs a dose of aesthetic shock-treatment, here is the prescribed painting, bronze, ivory, or a bit of silver, handed over to be studied, touched, or inhaled. If the need is for shared artistic bliss, voila! Could there be a greater pleasure than coming to know it with the enlightened finders? Given the unique nature of Mittals' current temple of artistic joy, one hopes that it will not become a conventional museum for many years. From Jagdish's and Kamla's vitally hospitable, soul-enhancing museum, the pair of magicians have selected over one hundred, mostly unpublished works of art illustrated in this splendid album. Gaze upon them! Ponder them! And be spiritually illumined! The art collection of Jagdish and Kamla Mittal Museum of Indian Art, Hyderabad, has been widely perceived, since its establishment in 1976, as one of the pre-eminent assemblages of Indian art in the world. The Museum was a major lender to the Festivals of India in UK (1982) and USA (1985), and a large number of important books and journals have reproduced works from its collection. However, the Museum does not have a building where its art objects can be easily accessible for enjoyment and education. To redress this shortcoming, the Trustees of the Museum have published this monograph, with one hundred and thirty-one of its select objects, most of them unpublished. They comprise miniature paintings, drawings, bronzes, metalware, terracottas, wood-carvings, textiles, glass, ivory and jade objects, produced between the 1st century BC and 1900 AD. Hopefully, this publication, will enable scholars and art connoisseurs to experience some fragrance of the collection. Jagdish Mittal, an artist turned art collector and art-historian, is an erudite scholar and a leading authority on Indian art. He is the Principal Trustee of the Jagdish and Kamla Mittal Museum of Indian Art, Hyderabad, to which he and his wife, Kamla, gifted their unique art collection in 1976. in 1990, he was awarded the Padma Shri by the government of India. His research articles have been published in prestigious publications. 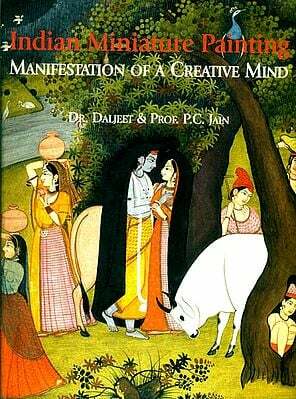 His book Andhra Paintings of the Ramayana was published in 1969 by the Andhra Pradesh Lalit Kala Akademi, Hyderabad. The art collection of the "Jagdish and Kamla Mittal Museum of Indian Art", Hyderabad, has been widely perceived, since its establishment in 1976, as one of the pre-eminent assemblages of Indian art in the world. In spite of the fact that the Museum was a major lender to the "Festivals of India" in UK (1982) and USA (1985), and that a large number of important books and journals have reproduced works from its collection, it could not fully achieve its objectives. This is because it still does not have a building where its art objects could be easily accessible for enjoyment and education. Chiefly for this reason, the Museum so far could not undertake the activities it had envisaged in the Trust Deed to promote art. To redress this shortcoming, the Board of Trustees of the Museum felt the need to publish this monograph, with one hundred and thirty one of its select objects, spanning over two thousand years, from all facets of Indian art. 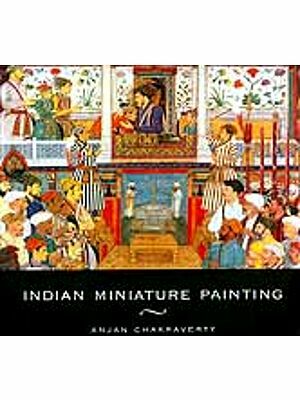 They comprise miniature paintings, drawings, bronzes, metalware, terracottas, woodcarvings, textiles, as well as Mughal glass, ivory and jade objects. Most of them are being published for the first time. This publication, I hope, will enable scholars and art connoisseurs of the world to experience some fragrance of the collection. In future, they will not be deprived from this aesthetic experience, for we shall continue to periodically publish groups of works from its holding. My homage to the nameless masters who created these works, the proximity of which constantly provided me that 'sublime delight' and exhilaration which activated my whole being. My intense involvement with art objects has acted as an elixir for my health and continues to prolong my lifespan. Many rasikas taught me to unfold the subtle nuances of art objects and several art connoisseurs and scholars enjoyed with me this collection. They kept alive my passion for art objects and gave me confidence in what I was collecting. Their names are mentioned elsewhere in this publication. I cherish with gratitude their cordial, informative and insightful remarks. I thank those who, during the last sixty years, made these art objects available to me. They are: at Chamba: the late Shri Hiralal, Shri Billo Mistry and the late Shri Dharam Pal Vaid; at Delhi: the late Shri Nandagopal Mehra and his son, the late Shri Hargopal Mehra, the late Shri Purushottam Ram Kapoor, the late Shri C.L. Nowlakha, Shri Sultan Singh Backliwal, Shri C.L. Bharany and Shri Narendra Gupta; at Jaipur: the late Shri Ram gopal Vijaivargiya, Shri Tara Chand Goyal, Shri Hari Narayan Ghiya and Shri Shankar Vijaivargiya; at Hyderabad: the late Shri Harish Chandra Agarwal and his son, Shri Kishan Chander Agarwal, Col. R.K. Randon and his late wife Urmila Tandon and the late Shri Ram Gopal. Besides them, I also thank other individuals who provided a few fine quality works. Shri Dhruv Mistry, the famous artist-sculptor and an accomplished photographer from Vadodara, and Shri Ramesh Babu of Hyderabad, made excellent photographic visuals for this publication. My grateful thanks to them. The text was carefully checked by Ms. Radhika Rajamani, Smt. Chandana Chakrabarty and Professor Meenakshi Mukherjee. All of them gave useful suggestions and polished the text. My profound gratitude and thanks to each one of them. My special thanks to Shri A. Narayana Rao who, as usual, patiently typed and retyped several drafts of this publication. Thanks also to Shri P. Parameshwar Raju (Trustee) for designing the 'Logo' of the Museum, and for giving useful suggestions regarding the design of this publication. My friend Shri Aelay Laxman, the well-known Hyderabadi artist, helped me in photo-editing the visuals, book-design and during all stages of printing of this work. My thanks and best wishes to him. Members of my family at Hyderabad have been supportive of my ideals and looked after my comforts. Each one of them, especially my daughters, Dr Jamuna Devi and Smt Radha Rani, and my grandchildren Ms Rama Devi, Ms Uma Devi, Naveen Kumar and Ananth Kumar, are always unhesitatingly available to me and Kamla for our well being and for any work related to the Museum. My blessings to them. My profound gratitude to my long-time revered friend and fellow-collector, Stuart Cary Welch, for writing the 'Foreword'. He best understands me and Kamla, our vision, the quality of the Museum's collection and its objectives. This is evident from the words expressed by him in the 'Foreword'. The Trustees of the museum are hopeful that the works featured in this publication will be admired by art lovers for many years to come.